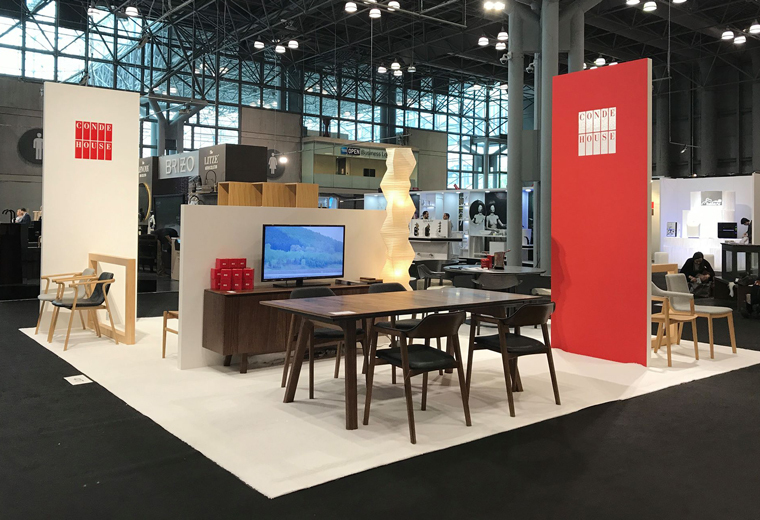 CONDE HOUSE participated in the International Contemporary Furniture Fair (ICFF) 2018 held in New York from May 20 to 23. 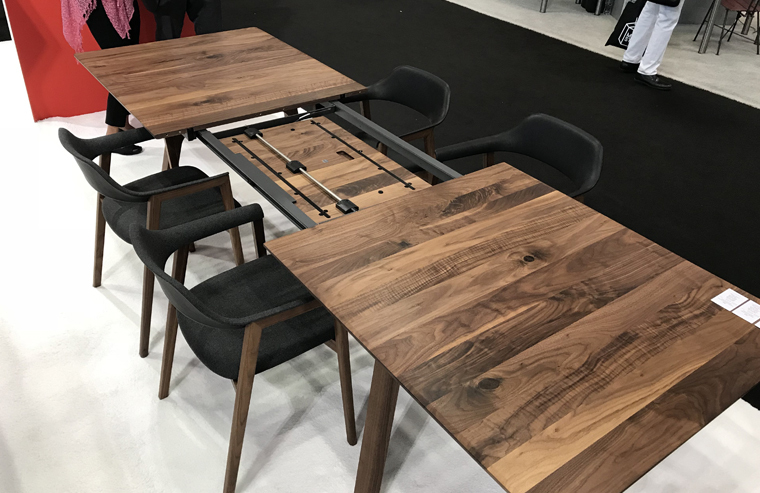 Featured was the solid wood extension table, highly rated in the Cologne International Interiors Show held this January, besides popular products among our collections on display, capturing good feedback from many people visiting our booth. 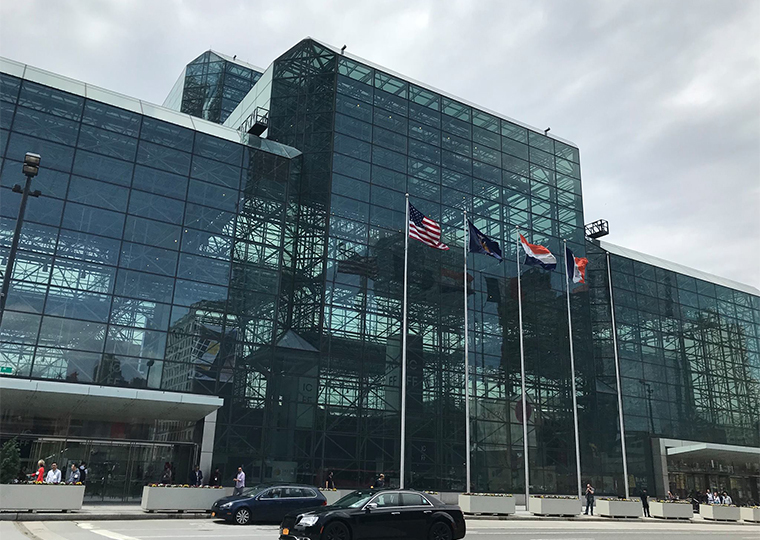 This year, CONDE HOUSE’s booth was in a great location where it could be seen from the entrance. 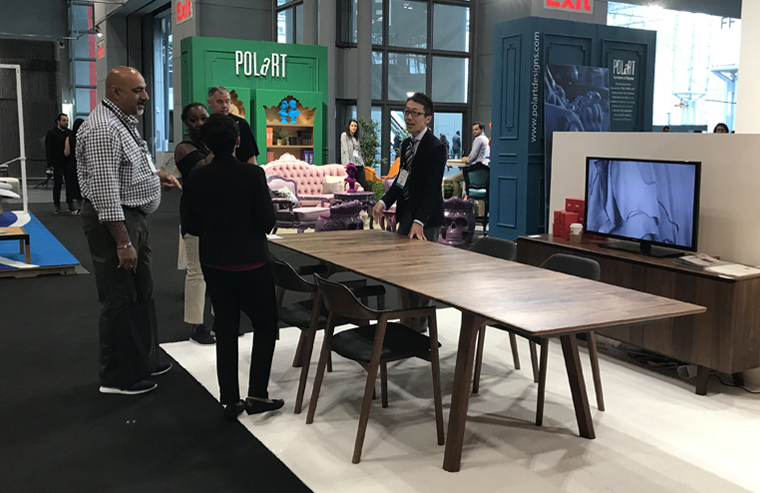 We situated our main featuring item, the TEN extension table, at the front of the booth where it would be most visible to the coming visitors. Many people commented that it has a great design and beautiful finish, and that the movement is extremely smooth. What, among other things, caught people’s attention was the fact that the middle tabletop can be stored beneath and pulled out easily. The mechanism was highly acclaimed, as a general extension table in the States would normally have removable tabletop parts. As the staff started to demonstrate how it works, people began to gather to catch the sight on camera. Even those who are experts in the field seemed to be amused by the mechanism and smooth movement. 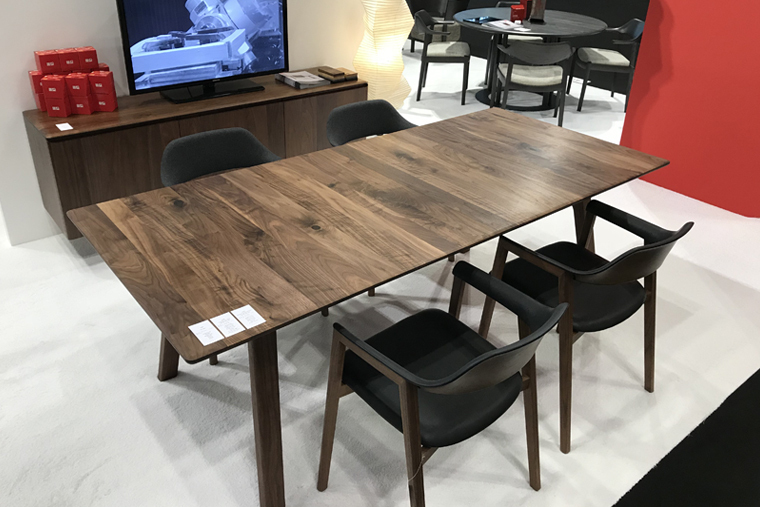 To go with the table, we displayed the TEN dining chairs, which have been also very popular. As it was the first time to present versions with back panels of wood and leather in different color, they also received great feedback. 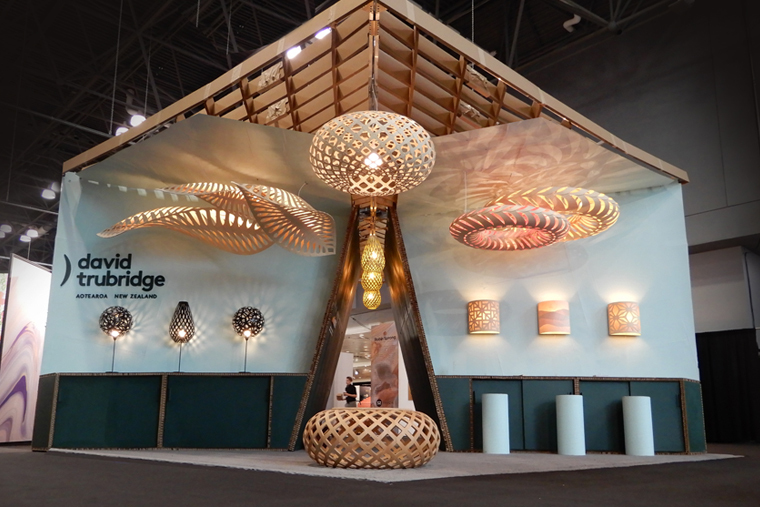 Among the many booths, the booth of David Trubridge was particularly eye catching with the unique design of its lighting. David Trubridge is the designer of CONDE HOUSE’s new KINA LUX to be launched in June. The prototype was displayed prior to being shown in public in Japan. It produces a beautiful nuance of shades in the room with its distinctive geometrical patterns, and is multi-functional: can be used as an ottoman or center table. 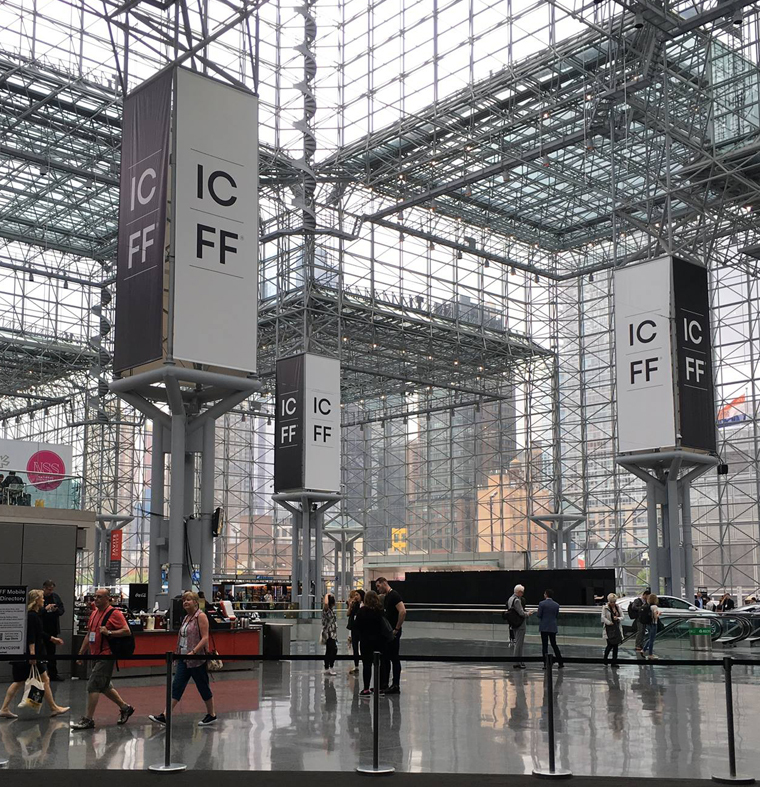 The ICFF in New York brought us together with many new customers, which was a great success. All our new products including the ones that have gained great attention in the exhibitions will finally be unveiled this June at the CONDE HOUSE STYLE 2018. At the simultaneously held ASAHIKAWA DESIGN WEEK 2018, furniture makers from around Asahikawa including CONDE HOUSE will be giving you the opportunity to see, feel, and experience the good quality and designs of furniture made in Asahikawa. We look forward to seeing you there!